Spotlight on Traveler by Arwen Dayton, Plus Giveaway! SEEKER is the story of three teenagers who have spent most of their lives training for what they think is a noble purpose – to be Seekers - only to discover that their families are actually turning them into assassins. In TRAVELER, as they try to break away from this fate, or maybe embrace it, they discover that the world of Seekers is larger than they’d realized, and they become entangled in a plan begun generations ago that immediately threatens their very survival. Today, we're spotlighting Traveler! Dayton's new book continues the thrilling story from Seeker. Read on for a sneak peek of this book and a chance to enter the giveaway! But first, meet Arwen Dayton. 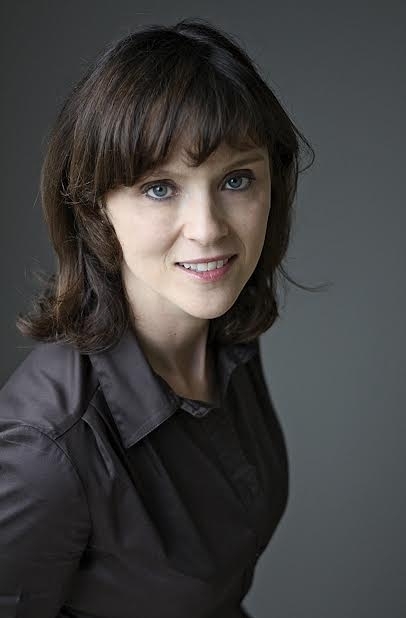 ARWEN ELYS DAYTON is the author of SEEKER and TRAVELER. She spends moths doing research for her stories. Her explorations have taken her around the world to places like the Great Pyramid at Giza, Hong Kong and its many islands, and lots of ruined castles in Scotland. *You can follow her on Instagram and Twitter @arwenelysdayton, and check out her video series about writing, 1 QUESTION, 2 MINUTES, at arwendayton.com and on YouTube bit.ly/1mLcdIn. Now meet Arwen's book, Traveler. Quin pledged her life to deception. Her legacy as a Seeker is not noble but savage. She was trained to be an assassin. And the boy she once loved is out for vengeance, with her family in his sights. Yet Quin is not alone. Shinobu, her oldest companion, might now be the only person she can trust. The only one who wants answers as desperately as she does. But the deeper they dig into the past, the darker things become. They are long-vanished Seeker families, shadowy alliances, and something else: a sinister plan begun generations ago with the power to end the legacy forever. And it might destroy them all. Sounds great, right?! With introductions in order, we're happy to reveal a sneak peek just for you! She peeked through the doors at the opposite end of the stable and saw darkness. The men and fire had not reached that side of the barn, so she pushed those doors open and herded the horses from their stalls. The smoke was getting thicker and they were beginning to panic, but Quin swung a rope at their flanks, driving them into a run toward the open doorway. Out in the night air, they milled about her, too frightened to move farther from the stable. Something flashed across Quin’s line of sight, about twenty yards away. As she reached for Yellen’s reins, an oak tree near the dairy barn burst into flame. She glimpsed a torch high up in its branches, and now she could see the person who had thrown it, a figure in dark clothing and a mask, riding away across the commons on horseback. The weather had been dry for many weeks, and with a roar, the tree began to burn fiercely, sending the horses into a terror. One bolted wildly, crashing through the others. Quin was caught in the crush of bodies as all of the animals, Yellen included, took off for the forest. and a quiver of bolts were slung across his back. He had raided the meager weapons supply in the training barn. “Who’s attacking?” She asked the question, thinking of hordes of shadowy victims coming to the estate to get revenge upon them. But of course there was no mysterious answer. As soon as the words had come out of her mouth, she knew who was attacking. She felt a sick twinge in her stomach. Even though he’s kicking me out, John had said, I have to find my way back. Quin realized some part of her had been waiting for him. But not like this. Was he really burning down the estate? “We’ll get a better look from the other side,” Shinobu told her, not meeting her eyes. “I agree we should find Fiona, but why do we want to find Briac and Alistair?” he asked. Quin struggled for a moment with an automatic instinct to follow her father. But Shinobu was right. He was saying the words she should have said. He was suggesting they do what she should have done a month ago. The estate might burn, but this was not a home anymore. They ran until they had circled around the edge of the commons and were nearer the cottages. There they came to a stop, crouching behind a fallen tree. The men on horseback were setting fire to the buildings. Her own cottage was burning. Behind it, farther away, she could see Shinobu’s, also ablaze. And the others, the cottages deeper in the woods, many of which had not been used for decades. All burning. Halfway across the commons, heading toward the pastures beyond the dairy, was Fiona. Her beautiful face was twisted in a look of terror, and the ends of her hair were on fire, orange flame upon redhair, streaming behind her as she ran. Why was she running across the meadow instead of into the woods? With a sinking heart, Quin noticed her mother’s wobbly gait. She was drunk. Quin started to go after her, but Shinobu put a hand on her shoulder, holding her still. “They see her too!” he whispered. The lead horseman was now clearly visible. He wore a mask, but they would have recognized him anywhere. 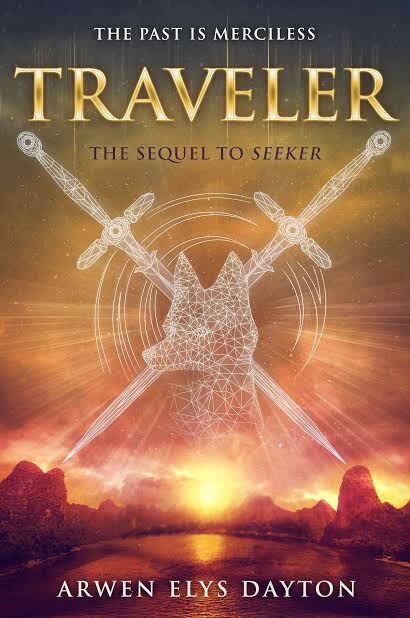 One winner will receive a copy of BOTH Seeker and Traveler, US only. The Tsars and all of the wealth they had. Loved seeker! Cant wait to read the sequel! Did the travel inspire the story line or did the story inspire the travel? The corruption in the leaders' power interest me the most! Russian culture has always been a mystery to me. It seems like the media has portrayed a hungry, poor nation, but then I see another picture at other times. How did these people get where they are today? I love finding out more about other people around the world. I would love to learn more about historic Russia!